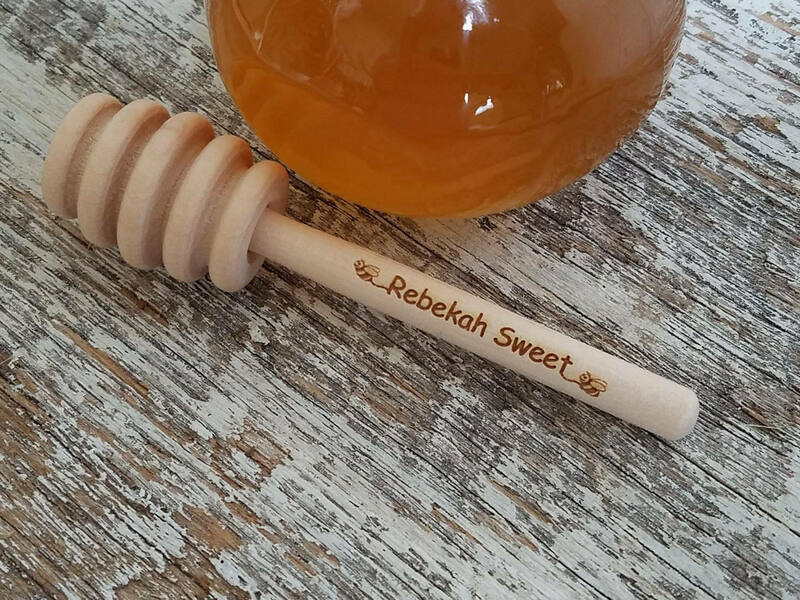 Our custom engraved 5" wood dippers with a 1" head are very smooth and have a nice feel to the touch. 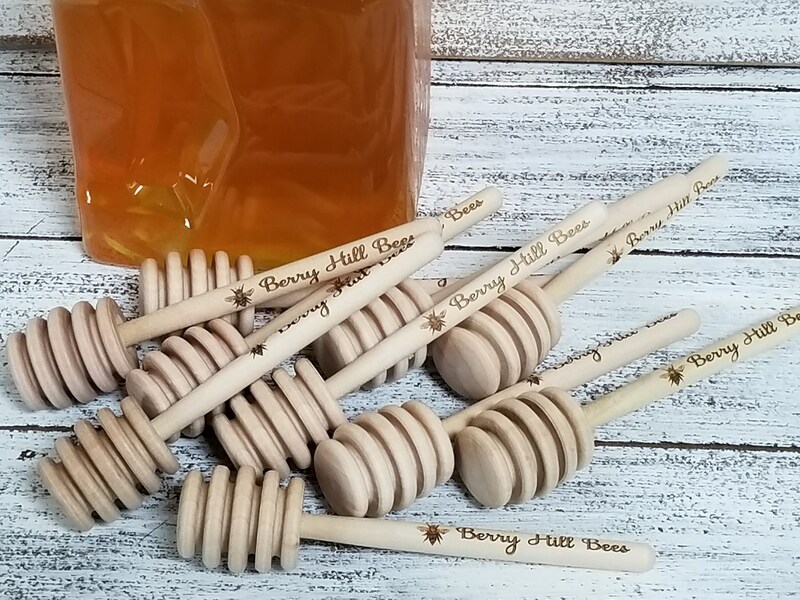 They are perfect way to advertise your honey business or give as a gift to someone special. For larger quantities please contact us and we will set up a special listing for you and send you the link for an easier checkout.